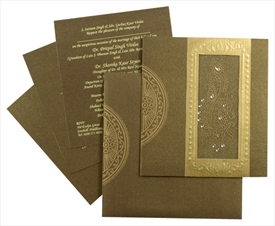 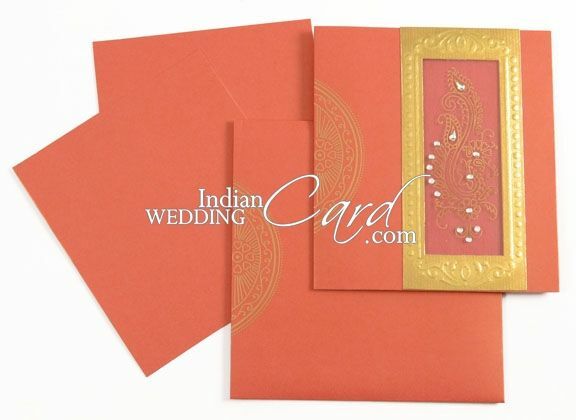 D-2619, Pink Color, Shimmery Finish Paper, Small Size Cards, Light Weight Cards, Designer Multifaith Invitations, Card with Rhinestones, Birthday Invitations, Engagement Invitations. 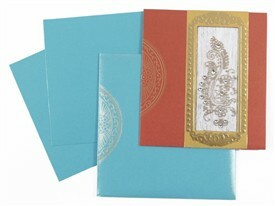 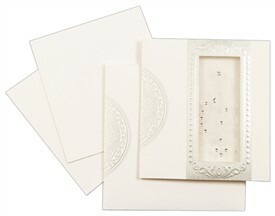 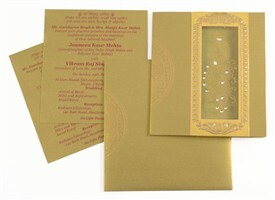 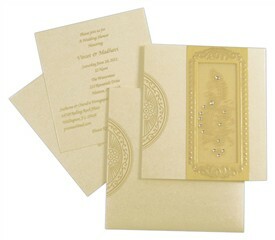 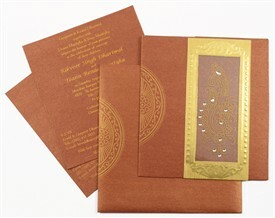 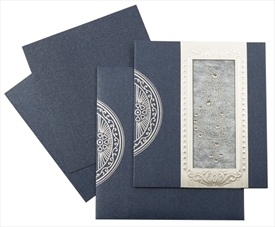 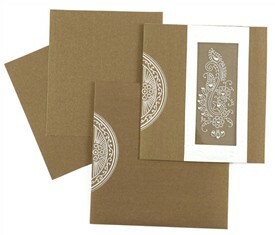 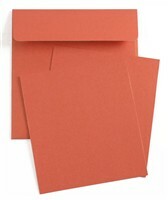 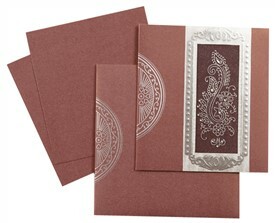 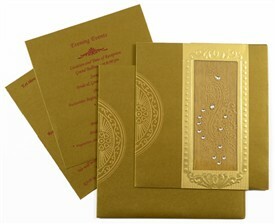 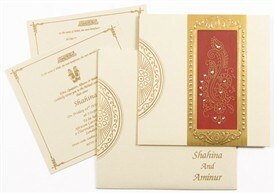 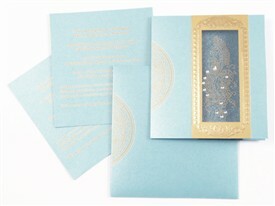 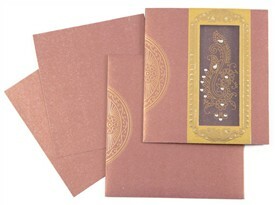 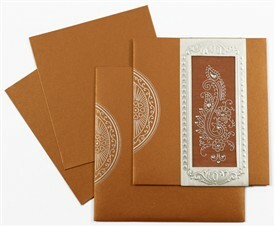 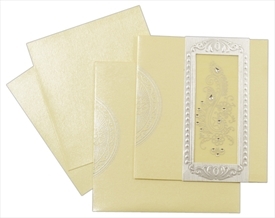 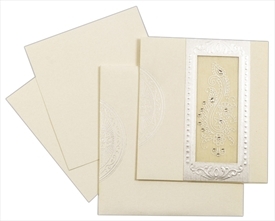 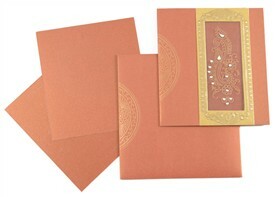 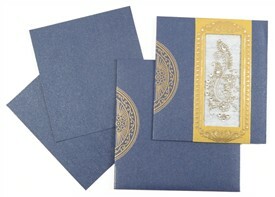 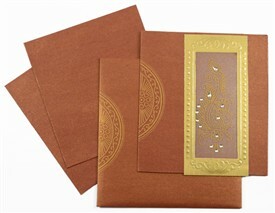 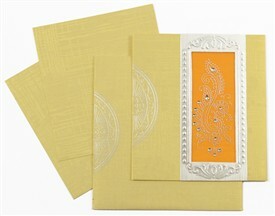 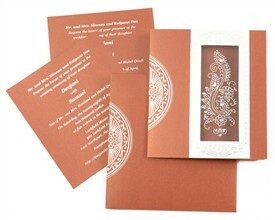 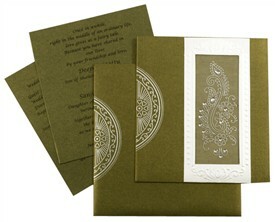 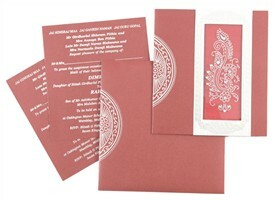 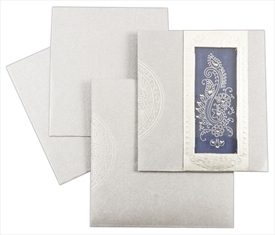 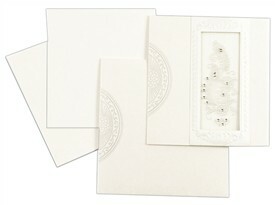 Pink shimmery finish paper (235gsm) for card, envelope and 2 inserts with pocket in matching translucent wooly paper. 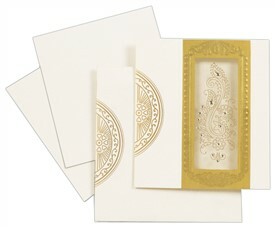 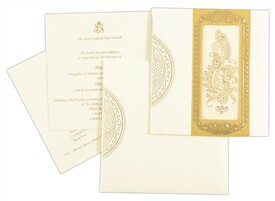 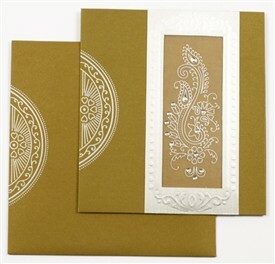 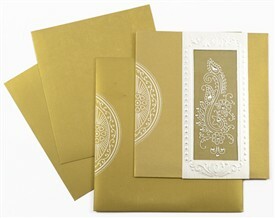 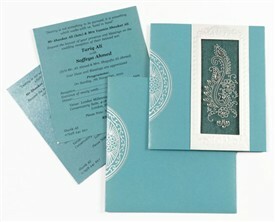 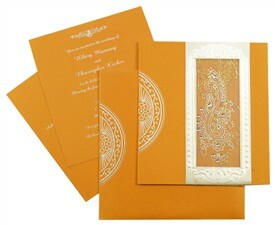 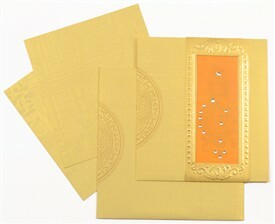 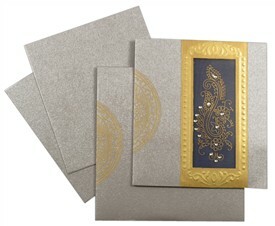 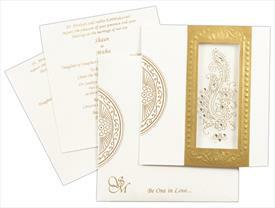 Paste-up on front in combination of golden and transparent film with printed paisley and rhinestone work. 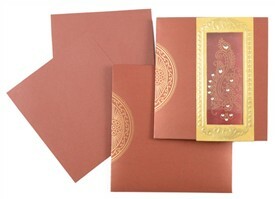 Silk Screen Printing in black or marron color. 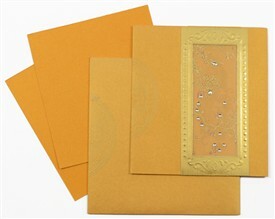 The gold color is not visible on this card.